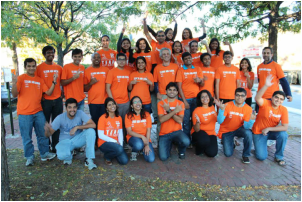 TeamAIDAsha is a beginner-friendly marathon/half-marathon training and fundraising program jointly organized by the volunteers from Boston/MIT chapters of Association for India's Development (AID) and Asha for Education. We train runners for their full or half marathon races and runners raise donations for AID and Asha. Both beginner and experienced runners are welcome. Would like to try run/walk with us? Join our Meetup group and a try a few group run/walk (on Saturday mornings) without any commitments. If you would like to be notified when the next season starts, signup at this email list. Want to learn more? Checkout the slides and videos from our information session here. Want to see more pictures? Visit our album here. and Facebook page here. We are on our 17th year, close to 380 runners have trained with us and completed full and half marathons. Our runners have raised over $890,000 to support grassroots development and educational projects in India. Q. Want to get in shape, do something for a great cause, meet amazing people, make lifelong friends and have the time of your life this summer? A. Join us: Group run every Saturday morning. Sign up using the buttons above if you would like to try us out. Join us for a few Saturday morning runs for free, RSVP at our Meetup page now, meet and hear from our coach and alum runners. Whether you are a beginner or experienced runner, you can try out our group training runs under our coach for a few days before you formally sign up for the fundraising program. Our group training runs are normally on Saturday mornings in Cambridge/Somerville/Arlington running trails. Running a marathon is one of the most exhilarating experiences that one can endure. AID and Asha have trained many first-time runners to complete marathons and in the process have raised funds for education and sustainable development projects in India. You can learn more about our program here.